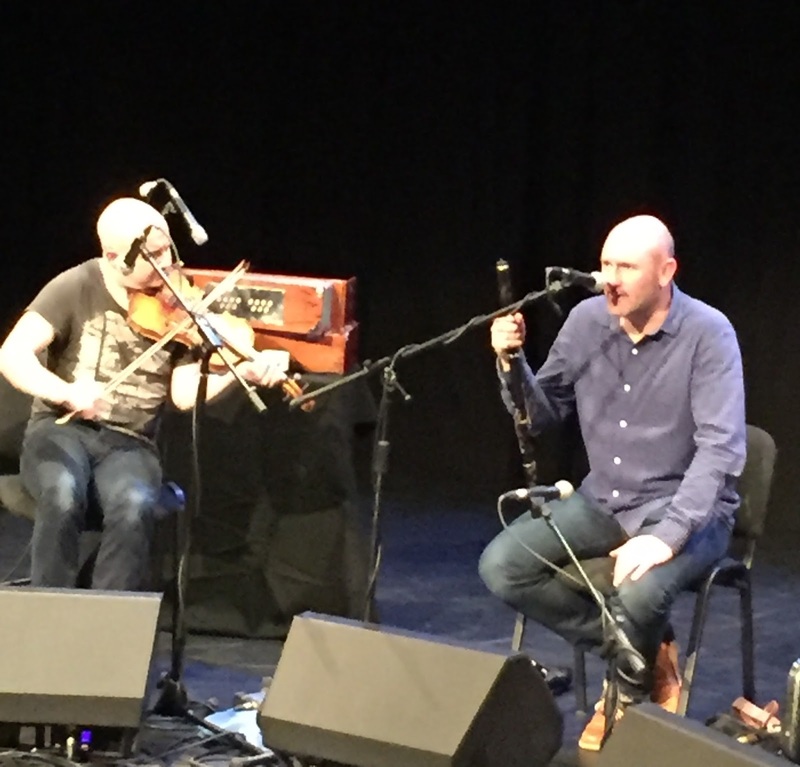 Partial compensation for missing the Transatlantic Sessions for the first time in five years has been catching up with three of the show’s stalwarts, as John McCusker. Michael McGoldrick and John Doyle head out on their own post-Sessions tour. 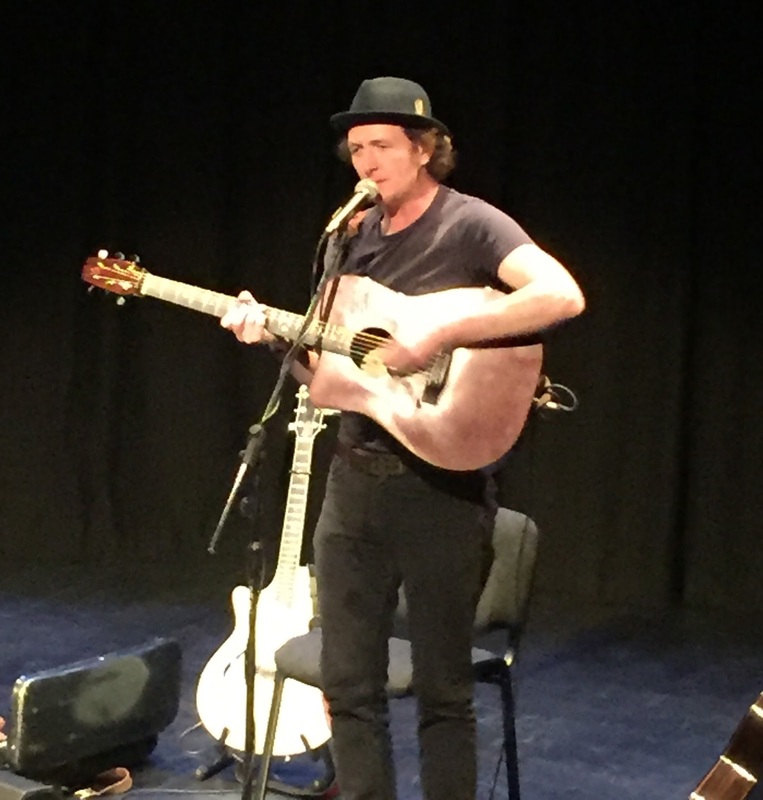 Twelve months ago the trio made a pit stop to perform at Birmingham’s Midlands Arts Centre and the MAC was delighted to host them again this year. There was certainly a Celtic spirit in the air as a Scotsman, an Irishman and an Englishman delivered a feast of tunes and songs to warm the hearts of an audience taking a detour around any Valentine’s Day hype. For close on two hours, the trio threw a style of guitars, fiddle, pipes, flute, whistles and harmonium into the mix, with the output being a marvellous collection of music steeped in the folk tradition from around these isles. Despite a Manchester accent and base, Michael McGoldrick is every inch the Celtic performer, majoring on Uillean pipes, whistles and flute and being a significant performer on the traditional roots circuit including a member of the acclaimed Scottish folk band Capercaillie. John McCusker is a bonafide Scot, exceptional fiddle player and professional musician since leaving school in his late teens. John Doyle adds the Emerald Isle spice and particularly offers an Irish-American angle due to the many years he has spent working in the States. John is the only one of the trio seen before in a solo or small gathering setting when he played the Kitchen Garden Café last September. While that event was successful in getting to really understand his music, the songs he performed tonight took on a whole new profile when backed by the skilled musicianship of his two colleagues. This twin-set evening panned out as an even split between the mixture of instrumental tunes led by McCusker and McGoldrick and the songs of Doyle. Over the course of the near-two hours, seven of the latter were presented some familiar and others not so, but all equally resounding in their impact. Headed by the jolly drunken singalong ‘Fall Down Billy O’Shea’ and closely matched by another chorus-friendly anthem in ‘Across the Western Ocean’, each song provided a memorable focal point. Doyle introduced ‘Liberty’s Sweet Shore’ as an ode to his fellow countrymen who braved the perils of nineteenth century emigration. In contrast ‘I Never Let You Know’ was given a light hearted Valentine’s Day tinge and ‘I Know My Love’ was the song which saw the vocals kick in after an instrumental led start. Two traditional songs completed the vocal line up in ‘The Bonnie Light Horseman’ and ‘Banks of the Bann’. Doyle’s guitar skills on a beautiful sounding electric one, usual acoustic instrument and a guitar-bouzouki hybrid, all housed his considerable playing talent which also supplemented the others on the rest of the instrumental set. As previously intimated, John McCusker is a highly talented fiddle player and the composer of many original tunes which he led during the evening. The most memorable of these from a story perspective was ‘Leaving Friday Harbour’ which John composed on his first ever trip abroad as a teenage musician well over twenty years ago. If anything John was the chatty member of the trio and assumed an informal leader role. He started the evening with a short harmonium piece and returned to this most traditional of instruments in the closing stages. Michael McGoldrick held the central and the least animated position on the stage, but proved the more versatile in sound offered. That which emanated from the Uillean pipes was the most pleasing to the ear closely followed by the flute and assorted whistles. Hailed as the world’s foremost whistle player did slightly jinx Michael during one tune with a moment that became ‘what happens on stage stays on stage’. However 99% of the musical craft on display was exemplary and there must not have been a single dissatisfied customer in the house. With such busy professional lives, it should be treasured when such fine individual exponents as McCusker. McGoldrick and Doyle get together to tour the sum of their talents. They breathe the life of modernity into the class of traditional Celtic music, presenting it in such a way that no fan of roots music can fail to be impressed. 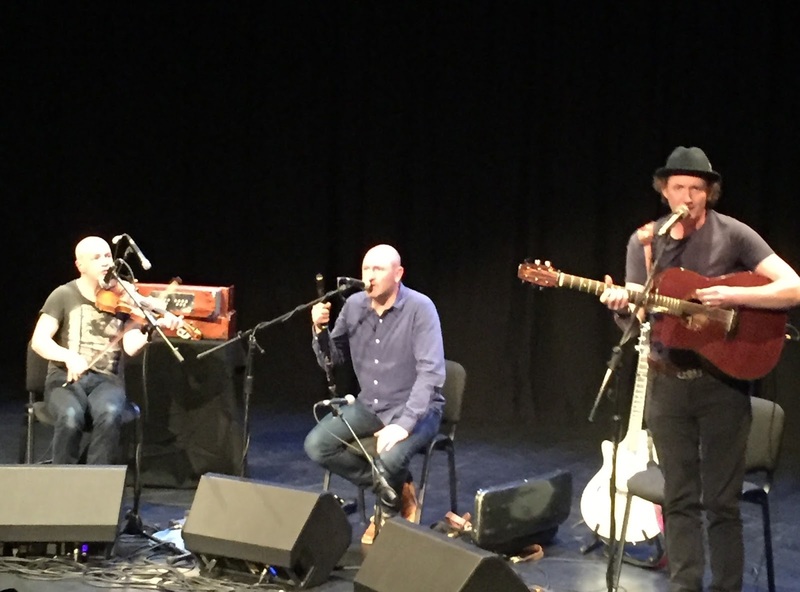 It is unimaginable that this arrangement will not continue in the future, so there should be plenty of occasions to catch the live magic of John McCusker, Michael McGoldrick and John Doyle at a venue near you soon.